Digital Eye Technologies work beyond the confines of IT and Digital Technologies; in fact, we offer eco-friendly, yet equally effective solutions such as Solar Technology Power Solutions, aimed at coming up with efficient yet energy source. As much as our team is backed-up by a pool of IT professionals; we also have a group of dedicated and passionate engineers working on our Solar Technology Power Solutions services. 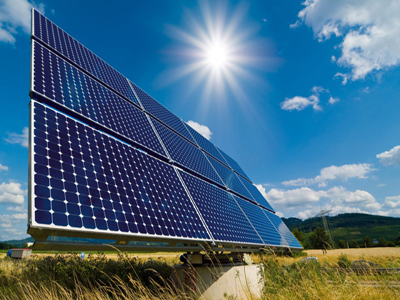 Our Solar Technology Power Solutions begin with the initial consultation with the clients. At this point, we ascertain their specific needs and demands, making sure that we cover everything. We also come up with a project development plan, along with the cost estimates of the entire project. Through this, our clients are able to deliberate on our service, as much as they are given the chance to come up with the best decision regarding this service. Along with the project design that we offer to our clients, we also provide them with the project engineering service that they need. We make sure that we come up with the technical descriptions and requirements that the clients’ nature of organization call for, as much as we aim to come up with the solar implements that should serve their organization’s purposes best. From the planning to the operations and implementation of the Solar Technology Power Solutions, we assist our clients every step of the way. We also make sure that they are given the exact kind of support that they need; with the provision of excellent after-sales support. With this, we leave our clients with quality service– and one that’s supposed to benefit them in the long run. If you are looking for an alternative power source that’s as efficient and reliable, talk to us and let us discuss with you the benefits of going for the Solar Technology Power option.